The microwave is one of the smallest appliances in your home. This unit is also one of the most popular. Many people rely on these devices to warm up leftovers or cook popcorn. Others use it to prepare their meals. Sometimes these units break down. When they do, call us for the best microwave repair in Newark, New Jersey. Call us to repair any microwave make or model. Our experienced techs will respond quickly to provide the quality service you need. We offer complete microwave service for our customers. Our techs will install built-in units or repair all types and sizes. We have extensive knowledge and experience with all brands. Our goal is to provide the most effective service possible. Your microwave is an important appliance in your home. If it stops working, don’t carry it to the curb. Give our pros a chance to check it out first. Don’t spend money on a new model. We may be able to fix it for much less. 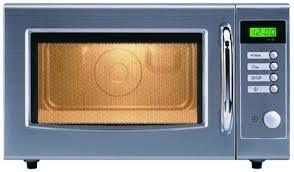 Our techs offer affordable microwave repair service. There are many small issues that can cause your unit to stop working. We carry plenty of replacement parts in our van to fix these problems fast. Our experts are trained to troubleshoot problems quickly. Our certified pros know exactly what to look for. Even more important; we know what we need to do to fix the issue. At Appliance Repair Newark, we provide same day repair service you can depend on. Too many people give up on their microwave when it gives out on them. It may seem easier to go out and buy a brand new model. However, if your unit is still in great shape, why spend money for another? Give our technicians the opportunity to fix your appliance for less. Let us provide you with affordable Newark microwave repair service.